John Shuttleworth takes his trusty organ along to the local hospital to pay a Christmas visit to his friend Alan, the opera singer. 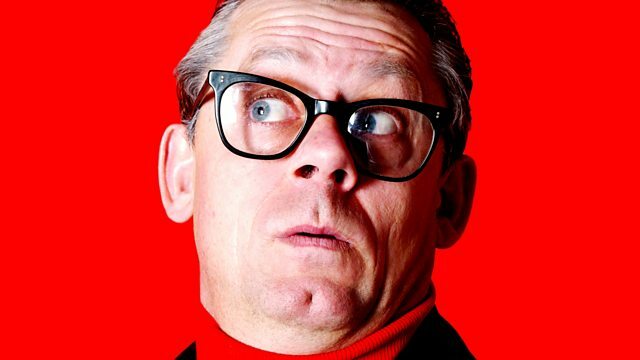 John Shuttleworth has to combine his Christmas Broadcast with a visit to the local hospital, as his friend Alan the Opera Singer is in for tests. John’s wife Mary, along with Ken Worthington and Joan Chitty, accompany him to the hospital for the day trip. Once the rather expensive fee has been paid in the hospital car park, the ladies go off to the café and hospital shop while John and Ken visit the patient. John has his trusty keyboard with him to play Alan a Christmas medley, but, when he arrives at the ward, Alan is nowhere to be found and his bed is worryingly empty. As Ken begins to panic about Alan’s state of health, John sings his new song Going Rapidly Downhill to take his mind off Alan’s disappearance. When Joan turns up with some mistletoe, John decides it’s time to go looking for Alan – especially as his tummy is rumbling.